For many decades, the way to find oil was resulted from a tactile approach and some luck. In the early twentieth century, Brazil started building its National Approach regarding oil and gas. The country nationalized petroleum before even finding it with the creation in 1938 of the National Petroleum Council (Conselho Nacional do Petróleo). After numerous attempts, oil in Brazil was only found in 1939 in the state of Bahia. In 1953, the Brazilian National Oil Company, Petrobras, was created, kicking off a new period in the formation of domestic expertise and technology development, and state-led exploratory efforts. After important (although always insufficient) investments in the search of onshore oil fields, from 1968, Brazil turns to the seas and begins new exploratory cycles focused on the offshore oil research. The international oil prices had begun to escalate, leading to the shocks of the 1970s and the opening of new exploratory frontiers worldwide. The first offshore discovery was registered in a well drilled in shallow waters in the field Guaricema, Sergipe-Alagoas Basin. Nevertheless, Brazil’s real offshore adventure started from the mid-1970s with the first drilling in the Southeastern Campos Basin. From shallow to ultra-deepwaters, the Brazilian NOC, born with the initial mission to build a major national refining industry, gradually transformed itself into a vertically integrated company and then into a major offshore operator. 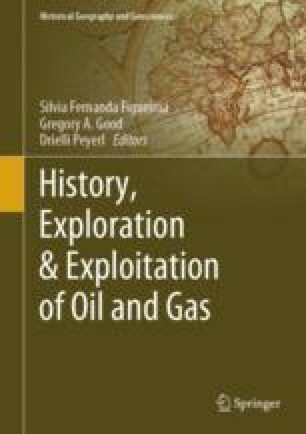 The process of industrialization and modernization of Petrobras will be discussed in this chapter book, with focus on history, technology, policy, and luck from the 1970s oil crisis up to the 2000s pre-salt discoveries. Consistent state efforts put Brazil on the Global Oil Map and allowed the country to develop a reputation as an attractive place for foreign investment. Drielli Peyerl thanks especially the current financial support of grant Process 2017/18208-8 and 2018/26388-9, São Paulo Research Foundation (Fundação de Amparo à Pesquisa do Estado de São Paulo—FAPESP). The authors gratefully acknowledge support from SHELL Brasil and FAPESP through the “Research Centre for Gas Innovation - RCGI” (Fapesp Proc. 2014/50279-4), hosted by the University of São Paulo, and the strategic importance of the support given by ANP (Brazil’s National Oil, Natural Gas and Biofuels Agency) through the R&D levy regulation.